For courses in Research in Counseling. Concise and lucid writing made this book in its first edition the leading research methods text written specifically for counselors. The text introduces reader to the basics of how to do research—from formulating a problem, doing a literature review, selecting a design, collecting and analyzing data, through reporting results. It also provides readers with the information they need to become intelligent consumers of published research. 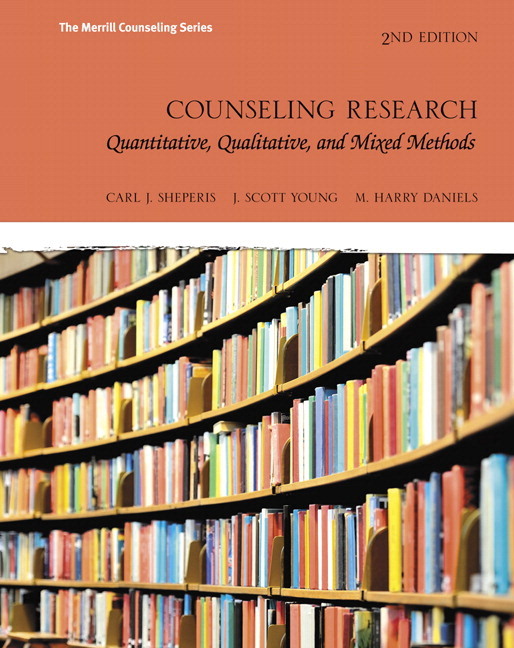 Covering a broad range of quantitative, qualitative, and mixed methods designs, as well as action research and program evaluation, the text presents the most common types of research used in the field of counseling. “The majority of my students report it is easy to follow and understand, even those with limited research knowledge. . . . So often I find counseling students viewing research methods courses as courses they must just ‘get through’ and not ones that will help them in their future careers. This book . . . does help students understand how this knowledge can benefit them in their future practice. This title is also available with MyEducationLab--an online homework, tutorial, and assessment program designed to work with the text to engage students and improve results. Within its structured environment, students can practice what they learn, test their understanding, and receive feedback to guide their learning and ensure they master key learning outcomes. “The writing style is one of the best features of this text. 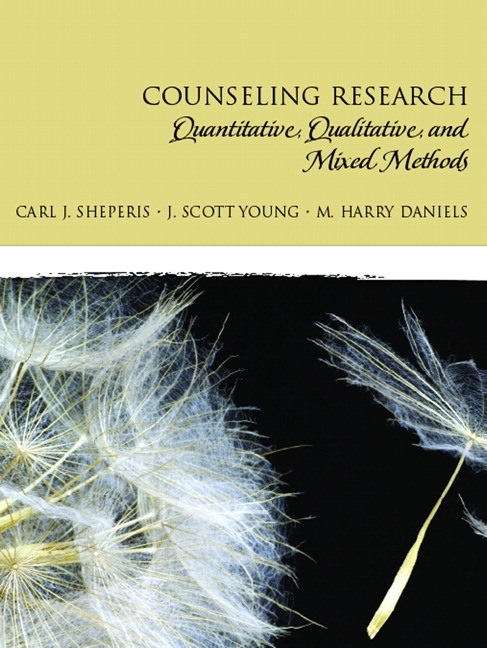 The authors do a phenomenal job at describing research methods at a level that will appeal to counselling students. “I feel [the writing] is a strength of the text. The majority of my students report it is easy to follow and understand, even those with limited research knowledge. . . . I have been using this text for the last two years and have found it the most effective in teaching students counseling research. The reasons for this, is it is not written above their current level of understanding and it does give applicable examples to the counseling profession. So often I find counseling students viewing research methods courses as courses they must just ‘get through’ and not ones that will help them in their future careers. This book . . . does help students understand how this knowledge can benefit them in their future practice. Concrete and detailed guidelines throughout the text on how to conduct various research tasks like narrowing a research topic, reviewing the literature, and coding qualitative data. See pages 34, 162, 175-188, and 206 for a few examples. A wealth of examples from real research projects and reports help novice researches see what concepts look like in practice. See pages 63, 67, 200, and 203 for examples. Exercises embedded in chapters and review and discussion questions at the ends of chapters help students apply and process more deeply what they have learned in the chapter. See pages 28, 36-37, and 342. A complete research paper is included in Appendix B and provides an example of a finished product. Other full-length articles are available in the MyEducationLab. See the MyEducationLab Reading Research exercises and pages 362-384 in the text. Includes extensive coverage of ethics in research, including a stand-alone chapter on ethics and the Research Section of the 2014 ACA Code of Ethics. See Chapter 2 and Appendix A. Practice applying research concepts and skills. Interactive Thinking Like a Researcher exercises allow the reader to practice specific research tasks. Practice reading research articles. Interactive Reading Research exercises provide readers with practice identifying key parts of research articles like purpose statements, research questions, descriptions of methods, and conclusions. Practice understanding research articles. Interactive Understanding Research exercises help readers not simply identify parts of articles but to use the concepts they have learned in the chapter to read articles with understanding. 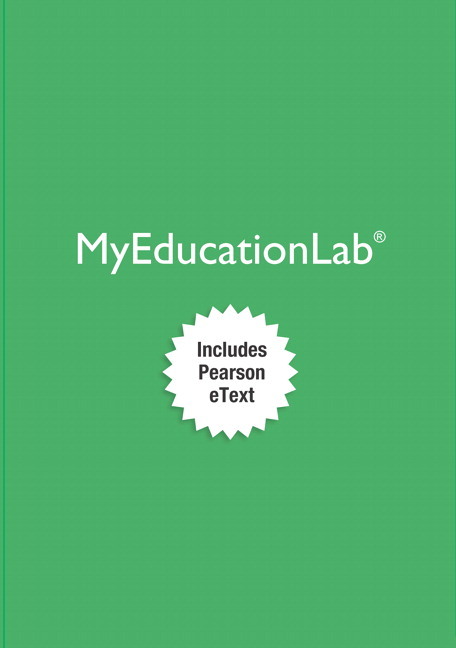 MyEducationLab includes the Pearson eText version of the book, which integrates MyEducationLab. See page 73 for an example. New chapter on cases study methods. Case Study Research—Chapter 9—is new to this edition and provides a thorough introduction to case study research. The chapter reviews several forms of case study and provides the steps involved in a case study design. The authors of the chapter also provide a review of benefits and limitations to case study methods. See Chapter 9. New chapter on action research. Action Research—Chapter 15—is a new addition to the textbook and discusses the common research methods used by practicing counselors. See Chapter 15. New chapter on managing data and using statistical software. Data Management and Data Analysis Software—Chapter 17—is a new addition to the textbook and, among other things, includes specific information about managing data within multiple software programs including freeware and Excel. See Chapter 17. Chapters 1 and 2 from the first edition have been completely revised and combined. The current iteration of the new Chapter 1 consists of revised and expanded information about starting the research process. This introductory chapter now provides an overview of the purpose for conducting research in counseling as well as new information about the research process. See Chapter 1. Chapter 2, Ethics in Research, has been revised to describe current information about current guidelines and is aligned with the 2014 ACA code of ethics. See pages 13, 16-19, and 22-23 for examples. The chapters on quantitative research designs, Chapters 6-8, have been extensively reorganized and revised. For example, Chapter 7 provides expanded information on regression analysis and contains a practical example of regression-related research. See pages 129-133. Dr. Carl J. Sheperis, PhD, NCC, LPC, ACS, is chair of the Counseling and Special Populations Department at Lamar University. He has more than 25 years of clinical experience in the assessment and treatment of behavioral disorders and psychopathology in infancy and childhood. Dr. Sheperis teaches graduate courses in assessment, research, and statistics. Dr. Sheperis has received numerous awards for his work. He is the author of several textbooks on mental health counseling, assessment, child and adolescent issues, online counselor education, and violence prevention. He currently serves as a member of the Board of Directors for the National Board for Certified Counselors. J. Scott Young is the chair of the Department of Counseling and Educational Development at the University of North Carolina at Greensboro. Dr. Young believes that to be an effective educator of counselors one must also be an effective practitioner. Subsequently he has been a practicing counselor and clinical supervisor for over 20 years. Dr. Young is interested in understanding the processes people use to make meaning of their lives and in particular the role that spirituality and religion play in the practice of effective counseling. To this end, he has published numerous articles related to the interface of counseling and spirituality and is the coauthor of Spirituality and Religion in Counseling: A Guide to Competent Practice. Dr. M. Harry Daniels is professor emeritus and former chair of the Department of Counselor Education at the University of Florida. Dr. Daniels uses the scientist-practitioner model as a guide, believing that counselor educators need to be skilled in both domains. Within this framework, he is interested in knowing how people construct their reality, particularly through the use of imaginative language, and the strategies that they use to regulate their emotional responses to life events. Dr. Daniels is specifically interested in the strategies parents and teachers use to influence children’s emotion regulation abilities.